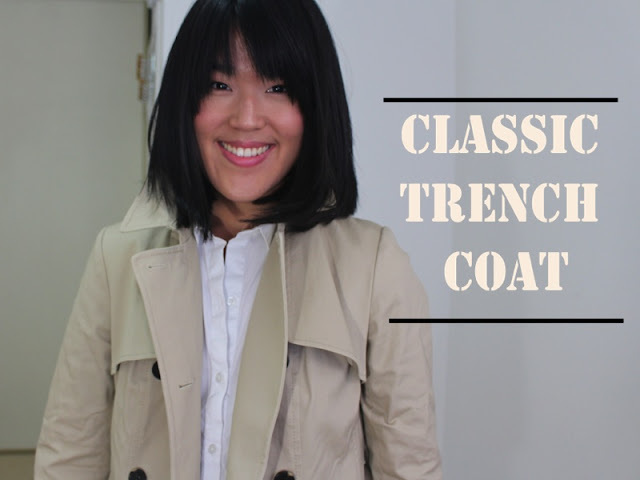 I've tried quite different kinds of trench coat, and none really quite worked for me without any additional work done. I know Ann Taylor has its own version of trench coat, but I missed the boat last year. I finally picked it up this year, and I am quite pleased with the measurement. For once, it has both regular and petite sizing. I always opt with petite sizing whenever possible because it usually has better fit for me length and width-wise. Sorry for the blurry picture. I accidentally erased the other pictures. The coat falls just a little bit on top of my knees which is more flattering for someone who's 5'2" like me. A few inches longer, then I would look like I'm in someone else's coat. Watch my video to see the demo and more detailed review.